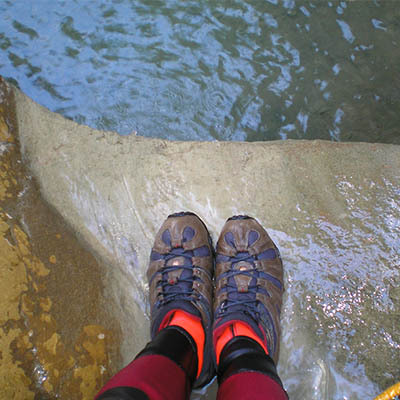 Participants follow a river’s course along a ravine or gorge where the water is flowing, passing over obstacles eroded by the force of the current. There are a range of descents of varying difficulty. The origin of ravine descents could be caving but generally this activity combines swimming, caving and climbing techniques and can therefore be considered as a mixed sport because it combines activity on land and in water.